We will disembark from the boat at Argostoli and join our coach to go in search of the bowels of Kefalonia: the Drogarati Cave. 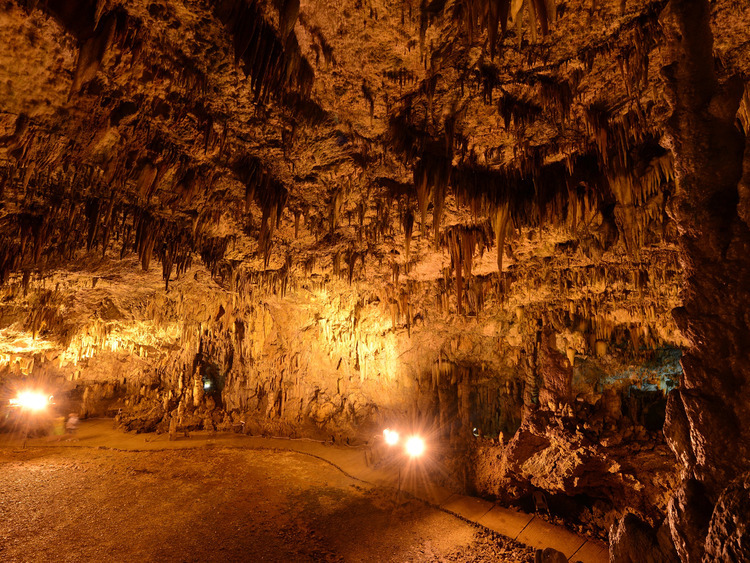 Discovered 300 years ago, the cave is around 150 million years old and was opened to the public in 1963. We are surrounded by the magical feeling of this cave with its myriad of stalagmites and stalactites. Concerts are often held in the larger chamber, known as the Hall of the Apotheosis for its incredible acoustics. At the end of our visit to this enchanted place, we make our way to Agia Efimia, a fishing village on the east coast of Kefalonia, surrounded by the mountains lining the Pylaros valley. Bathed by the crystal waters of the Ionian Sea, life in this village follows a steady rhythm, in keeping with nature. Here we will stroll along the characteristic alleys, where we will be able to treat ourselves in little tavernas and top quality cafés. Dress code that is appropriate for the places of worship to be visited is recommended (ladies are expected to wear a shoulder scarf covering shoulders and arms; neither ladies nor gents are allowed to wear shorts).